Link to VacTruth ArticleAfter being shuttled around like cattle, many of these sick, weak children were finally dumped back in their village without a diagnosis and each family was given an unconfirmed sum of £1000 by the government. No forms were signed and no documentation was seen. They were informed that their children had not suffered a vaccine injury. Summary: On 24 May 2009, The London Times reported that Bill Gates gathered his friends of the “Billionaire Club of gooders” to forge an action plan on how to bypass the governments on the reduction of a nightmarish large overpopulation of the world. World wars and Communist revolutionary wars, epidemics, free abortion and birth control pills have had too little effect on eliminating CO2-producing people from the melting warm globe. Bill Gates publicly declares to work for population reduction – at a time when demographics show that the world is already experiencing a catastrophic birth decline – except in the Muslim world, of course. Gates stakes on 2 horses: Hazardous vaccinations and one-sided, expensive Rockefeller/ Monsanto GMO / Round-up diet (Gates holds 500,000 Monsanto shares) with products that are “probably” carcinogenic, according to the WHO – and lead to miscarriages and birth defects. These products can not be used as seeds, which has driven India’s small farmers into bankruptcy and thousands of suicides. Also in Africa, farmers are now being driven into the same misery by Gates´AGRA project. 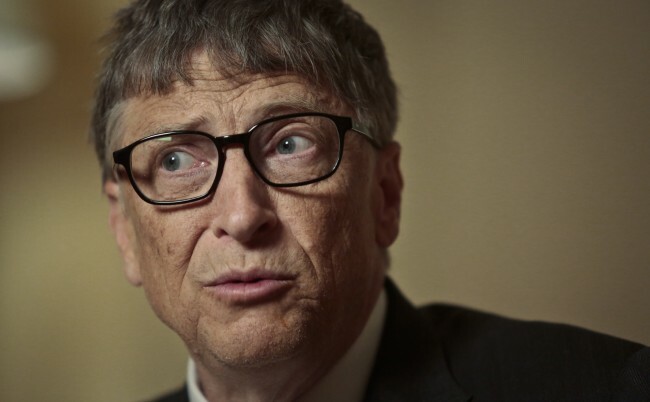 Gates regrets being unable to reduce humanity by more than 15% by means of vaccinations. He attempts – against the will of national doctors – to do so by polio vaccinations in countries where polio has been eradicated for many years (Syria, Philippines, now also India). Many are sceptic after the WHO /Rockefeller Foundation sterilisation “tetanus vaccination” campaigns with human chorionic gonadotropin. Unfortunately, it now turns out that the number of polio paralyses is much bigger in the vaccinated than in the non-vaccinated population. Gates had carried out illegal test vaccinations in India with notorious Gardasil: Of 16,000 girls tested 120 girls fell seriously ill and 7 died. Now this has moved the Supreme Court of India to let Bill Gates stand trial for crimes against humanity. In Chad, Gates vaccinated 500 school children for Meningitis A. Within hours, 40 of them developed severe paralyses. According to the Oxford Journal, Clinical Infectious Diseases 2009, there are many more cases than reported. The Medical Journal of Medical Ethics published in 2012: “… while India has been polio-free for a year, there is a tremendous increase in non-polio acute flaccid paralysis (NPAFP). In 2011, there were an additional 47,500 new cases of NPAFP. Clinically indistinguishable from polio paralysis it is twice as deadly. The occurrence of NPAFP was directly proportional to the administered doses of the oral polio virus. So, Bill Gates does not rely on preventive birth reduction, which would be impossible in the Muslim world, where it is most needed. He stakes on attacks on living people in developing countries. Thus, the NWO Illuminati are deceiving humanity to believe evil is good. The Times 24 may 2009 had a remarkable story: “Bill Gates gathers his billionaire friends of the “Good Club” including David Rockefeller Jr., Warren Buffett and George Soros, the financiers, Michael Bloomberg, the mayor of New York, and the media moguls Ted Turner and Oprah Winfrey. These members have given away more than £45 billion since 1996 to causes ranging from health programmes in developing countries to ghetto schools nearer to home. 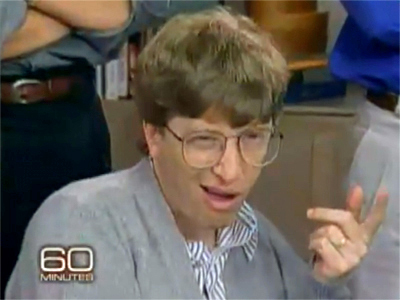 This is Bill Gates´ real aim: population reduction. Depopulation is an obsession with the Illuminati of the world and here. Of course, they practised it in WWI and here and WWII and here – and are planning to do even more so un their upcoming WWIII. But all their Communist revolutions (Nathan Rothschild was a cousin of Karl Marx – paid for his Communist Manifesto), e.g. the Soviet one and that of Mao Zedong, have required 94 million lives. The Georgia Guidestones admonish elitist survivors after a global cataclysm to keep the number of mankind below 500 mio. However, they have more subtle ways of doing it: Their Marxist Feminism forced women into the labour market – thus giving them less time for children in the western world. Of course, their greatest gain was free abortion and P-pills. They are poisoning us with fluoride in water and tooth paste. 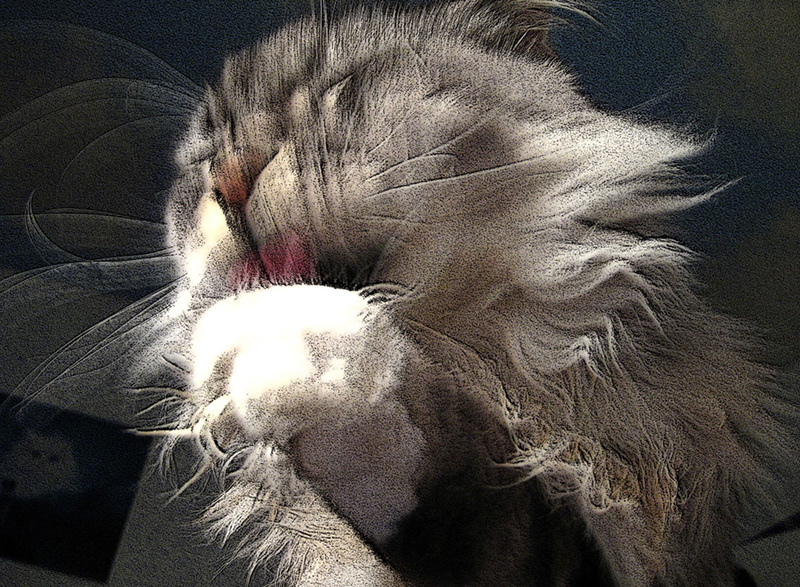 Fluoride is a potentially poisonous element able to lowering intelligence in children and causing a high incidence of dyspeptic symptoms as well as histological and electron microscopic abnormalities in stomach and intestine and respiratory tract diseases – (chemtrail -) aluminium reinforcing that effect – causing infertility and birth defects. Also, Goats on Monsanto´s GMO soy product diet produce abnormal milk – whatever influence that has on African children. Even the US government confirms that Aluminium fluoride causes severe diseases. 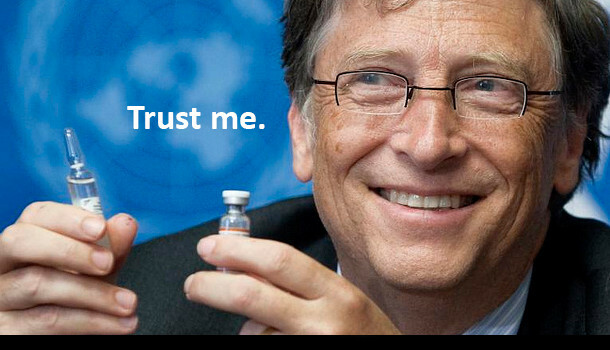 Bill Gates has concentrated on the LDC´s which seem resistant to chemtrail poisons. So, there he concentrates on vaccinations and GMO. He owns 500.000 Monsanto shares. 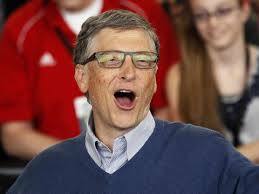 NWO´s useful idiot Bill Gates is always described as a philanthropist in the media. The Guardian 30 April 2015 has an appeal spoken through the youth of the World: “Dear Bill Gates. Lead us against global warming!” – although there is none. This comes at the same time as Australian Prime Minister´s business adviser declares global warming to be a UN-led ruse! 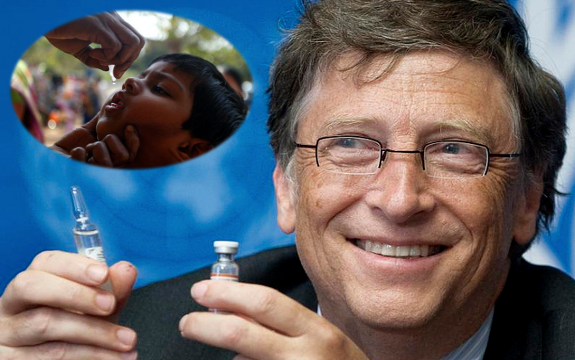 Then The Guardian emphasizes Bill Gates´ unique philanthropy – his eradicating polio from India and the world. Of course, the Guardian is a very biased newspaper: The Guardian 26 May 2009: “The former BBC vice-chairman Anthony Salz, who is currently executive vice-chairman of the investment bank Rothschild, has been appointed to the Scott Trust, owner of Guardian Media Group”. What this corporate paper “forgets” to tell is that at least UNICEF´s polio vaccinations funded by Bill Gates are going on in countries that have not seen polio cases for 15-20 years (Philippines and Syria) – and against national health authorities´will. 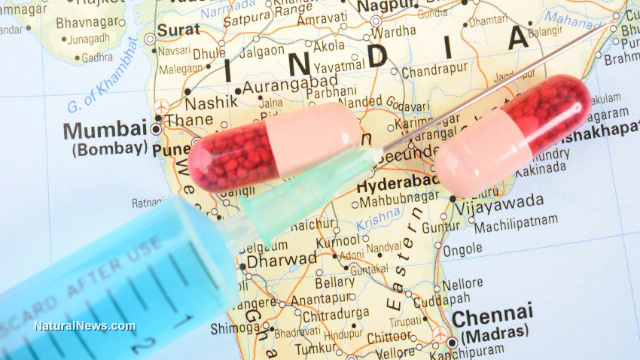 In 2014, India was declared polio-free over the past 3 years. 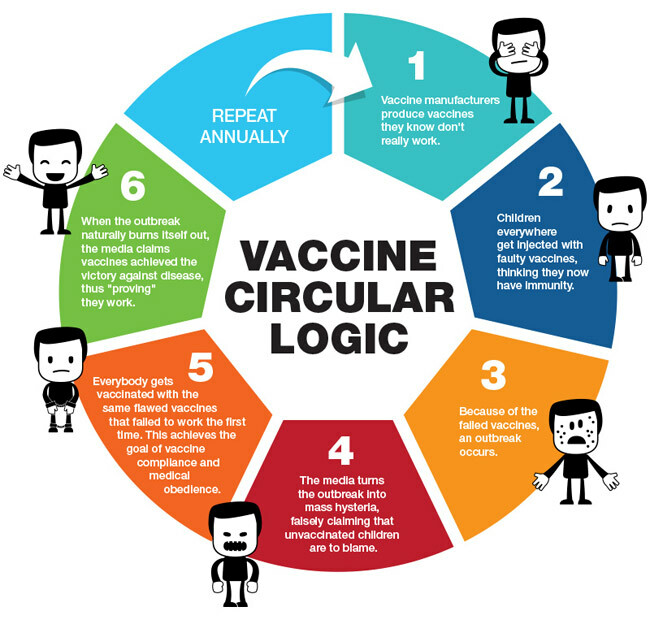 The vaccinations are suspected to be population reduction campaigns – notorious from the WHO/Rockefeller Foundation´s “tetanus vaccination” campaigns with human chorionic gonadotropin, targeting exclusively women aged 15-45 years in LDC countries. Moreover, The VacTruth 5 Oct. 2014 writes: As Bill Gates faces a lawsuit by the Supreme Courts of India for the illegal testing of tribal children in India., it appears that his crimes against humanity have finally caught up with him.Tests had been carried out on 16,000 tribal school children in Andhra Pradesh, India, using the human papiloma virus (HPV) vaccine, Gardasil. 120 girls who participated in the HPV vaccine trials “experienced adverse reactions. at least 7 died. This is in accordance with Gates´declared goal: Reducing the world´s population by 15% by means of vaccinations. However, this is said not to be enough to save us from the terrible man made CO2-global warming – that is unproven/non-existing acc. to 99% of climate scientists. VacTruth 26 Nov. 2013: In the depths of cyberspace lurks a press release written by the US CDC, confirming that the OPV, or oral polio vaccination, given to millions of children throughout the developing world, is causing them to develop vaccine-induced polio. Instead of banning the vaccination, as one would expect, the CDC has decided in its wisdom that the best way to tackle the problem is to maintain a high rate of vaccination in all countries! Vaccine-crazed Bill Gates has decided to step up his polio campaign by hiring an array of Bollywood stars such as the notorious Bollywood mega-star Amitabh Bachchan to help him dish out the vaccination. A recent paper has reported that the number of children now suffering from vaccine-induced polio has reached epic proportions. Monsanto has driven thousands of poor Indian farmers to commit suicide, because they could not afford to buy Monsanto´s hybrid seed every year. They call it the “seed of evil” – poisonous Round-up GMO. Global Res. 16 Oct. 2014: After the Bill & Melinda Gates Fund´s funded the Alliance for a Green Revolution in Africa (AGRA) to the tune of almost $420 million, hit Africans no longer eat diversified food – just maize in the morning, at noon and in the evening. “It’s a system designed to benefit agribusinesses and not small-scale farmers.” “What the World Bank has done, the International Monetary fund, what AGRA and Bill Gates are doing, it’s actually pretty wrong. The farmer himself should not be starving”. Monsanto investor Gates cooperates with Monsanto in Africa, too.